Recent research on the negative effects of acid blocking meds/proton pump inhibitors (PPI) sent chills down my spine and provides a real wake-up call on how detrimental PPIs can be. It has taken decades for the health care community to recognize the damage of antibiotics on natural gut flora. We now understand the even more damaging effects of PPIs on gut health. Acid blocking medications/proton pump inhibitors are often handed out without second thought and without attention to how to fix the underlying digestive issues that caused the distress in the first place. Consumers again face a “benign, safe drug” that leads to substantial risk and change against health. It’s not just changes in the gut flora, PPIs cause other significant and far reaching effects on your health. Before you reach for Larry the cable guy’s antacid of choice, Prilosec, think twice. Proton pump inhibitors (PPI) include some big names like Prevacid (lansoprazole), Prilosec (omeprazole), Nexium (esomeprazole), and Protonix (pantoprazole). PPIs are the most prescribed stomach acid blocking drugs on the market surpassing the H2 blockers like Pepcid and Zantac (ranitidine) and are heavily marketed. An estimated 20 million Americans or 1 in 14 use PPIs each year. They are commonly used to treat gastroesophageal reflux disease (GERD) and ulcers and also used to protect against damage from NSAIDs/ibuprofen use. PPI medications are considered safe by most practitioners and a better alternative to H2 blockers. Increasing volumes of research show that long term use of this immensely popular class of drugs creates the risk for much bigger changes. In a landmark original 2016 study, researchers outlined serious concerns on how proton pump inhibitors PPIs affect the gut. This includes the statement that sent chills down my spine - “On a population level, the effects of PPI are more prominent than the effects of antibiotics or other commonly used drugs”. Considering the number of individuals using PPIs, i.e. one in fourteen individuals using PPIs, this is a massive concern. Ongoing research reveals just how powerful these drugs are. Researcher point out that PPIs are associated with high risk of gastrointestinal infections, in particular a worrisome bacterium, Clostridium difficile, or more commonly known as C diff. C diff used to be thought of only as a problem in hospital acquired infection and those with significantly compromised immune system. Because of long-term PPI use, i.e. a few months, C diff is now seen much more frequently in the general population and those who are considered low risk. Certain antibiotic types (clindamycin, Cipro/Levaquin, and cephalosporins) certainly raise the risk of C diff infection, but even without the use of the antibiotics, gastroenteritis from C diff is occurring. Several studies point out that exposure to PPIs may be enough to cause C diff even without other known risks. C diff can be a severe health and life threatening bacterial infection in the large intestine or colon. A mild case of C diff may cause watery diarrhea for a few days with abdominal cramping and tenderness. More severe cases usually require hospitalization. 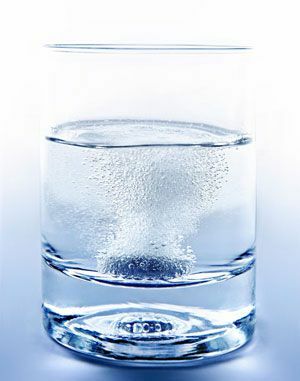 It causes watery diarrhea 10 -15 times per day, dehydration, fever, weight loss, severe abdominal pain, and kidney failure and can take weeks to bounce back. PPIs increase the incidence C diff infection by a shocking 65 percent. Other findings in the landmark 2016 study show that there is a loss of bacterial diversity in the gut. PPIs profoundly change the gut microbiome and substantially raise the risk for other types of infection through the digestive tract, like Enterococcus, Streptococcus, Staphylococcus and the potentially pathogenic species E. coli. They have found that bacteria that are normally found in the mouth are now found in the gut, which changes the gut flora balance. Proton pumps are found in the parietal cells or the cells that line the stomach and throughout the body. They use this pump to transfer protons across cell membranes and convert them to energy in the cells mitochondria. This makes me question PPIs and damage to mitochondria and may contribute to some of the common non-digestive side effects of PPIs, but this is an unstudied area. The acid blocking meds don’t just stay in the stomach; they travel in the blood stream to other parts of the body. When the proton pumps are blocked elsewhere in the body, they create their adverse effects. Common side effects include fatigue, headaches, joint pain, skin rashes, anxiety, dizziness, constipation, and nutrient malabsorption. The end result is that pH changes, proton pumps are blocked, and the microenvironment of the gut changes for the negative. These are far reaching changes. Think about the fact that antibiotics are generally short-term use. PPI use is often for years or even decades. Changes in the gut pH and normal flora leads to another common adverse finding, small intestine bacteria overgrowth (SIBO). SIBO is an increasingly common concern associated with gas, bloating, diarrhea, and indigestion. The changes in the small intestine gut flora cause polymicrobial SIBO or an overgrowth of multiple strains of non-beneficial or pathogenic bacteria. PPI use is also associated with the diagnosis of celiac disease. Chronic PPI use especially when used with ibuprofen or other NSAIDS has led to a five-fold increase risk of the inflammatory bowel disorder, microscopic colitis. These are not the first studies to demonstrate the increased risk of C diff. Wellness Resources reported on this several years ago that antacid medications cause C diff and bone fractures. At that time, the known effects of PPIs were much lower and the depth of concern was not as fully understood. In 2016, statistics show a leap up to 65 percent incidence rate of C diff with PPI use and a marked increased presence of other disorders. PPIs negatively impact other parts of the body and their chronic use is linked to a broad range of disorders. These include heart attacks, dementia as reported by JAMA Neurology earlier this year, osteoporosis, bone fractures, kidney failure, pneumonia , muscle weakness similar to that induced by statin drugs, and other gastroenteritis concerns. Newly published research also reported that the PPI use is associated with a threefold higher risk of low total motile sperm count. This does not even include the adverse effects on nutrient absorption or weight gain that occurs with chronic PPI use. Many who suffer from acid indigestion or GERD actually struggle with poor movement of food down the digestive tract. Rather than healthy digestion and movement into the small intestine, food fails to digest properly and ferments. This can occur due to lack of stomach acid, germ overgrowth in the digestive tract, or bile acid dysmotility. Because of the fermentation and gas build-up, pressure builds up in the stomach and forces the sphincter/muscle to open. This causes acid to reflux upward into the esophagus. This leads to acid indigestion or GERD. There are certainly concerns with excess acid production that causes GERD, but often the lack of stomach acid is the reason. Appropriate medical evaluation needs to occur with persisting symptoms. Stress is also a common cause of acid reflux. Processed foods, food intolerances and food allergies can worsen GERD. Leptin imbalances and overeating contribute significantly to GERD. Rules #1, #2, and #3 of The Leptin Diet are critical for managing inflammation, healthy digestion, and improving leptin hormone function.